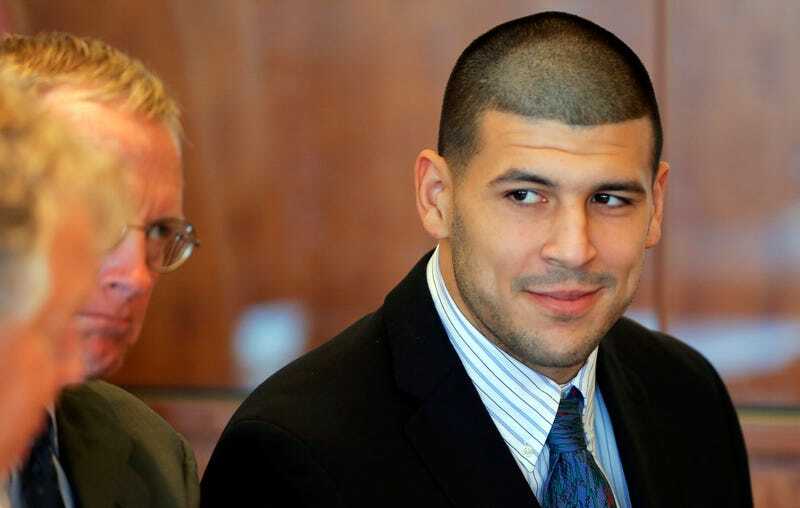 In addition to the murder of Odin Lloyd, Aaron Hernandez is under investigation for a drive-by shooting outside a Boston nightclub that killed two men. Now, one of the survivors of the car that was shot up tells Fox Boston that he recognized Hernandez as the shooter. The unnamed man, who has told his story to investigators, said he only realized it was Hernandez after his arrest in June. "When I see his face, I just recognize his face. Compare his face that night to his face now. It's that face that I remember," he said. On July 16, 2012, an apparent fight at Cure in Boston's South End took place between two groups of people, one of them including Hernandez. As the other group left the club, an SUV pulled up alongside and sprayed the car with bullets, killing Danny Abreu and Safiro Furtado. Abreu and Furtado were sitting in the front seat when killed. The witness says he was in the back, and describes what happened. The man says he heard someone shout, "What up, Negroes?" and then the bullets started flying. "Things happened so fast. I was trying to defend myself," the witness said. "They were shooting everywhere inside the car, front to back. They just came to kill. That's it." A grand jury is currently hearing evidence and weighing an indictment against Hernandez for his role in the murders, and since the news of his possible involvement leaked, a number of developments have taken place: Police located the SUV at the Bristol, Conn., home of Hernandez's uncle; The murder weapon was found in the car of a woman who said it belonged to her friends, who she said were football players; Surveillance video shows Hernandez at the club at the same time as the two victims; Hernandez's former associate (who is suing him for allegedly shooting him in the face) has claimed he was with Hernandez at the club that night.